A request for authorization to modify fifty percent (50%) or more of the requirements is initiated by the submission of the Curriculum Modification Form. The steps for approval are described in the flow chart below. 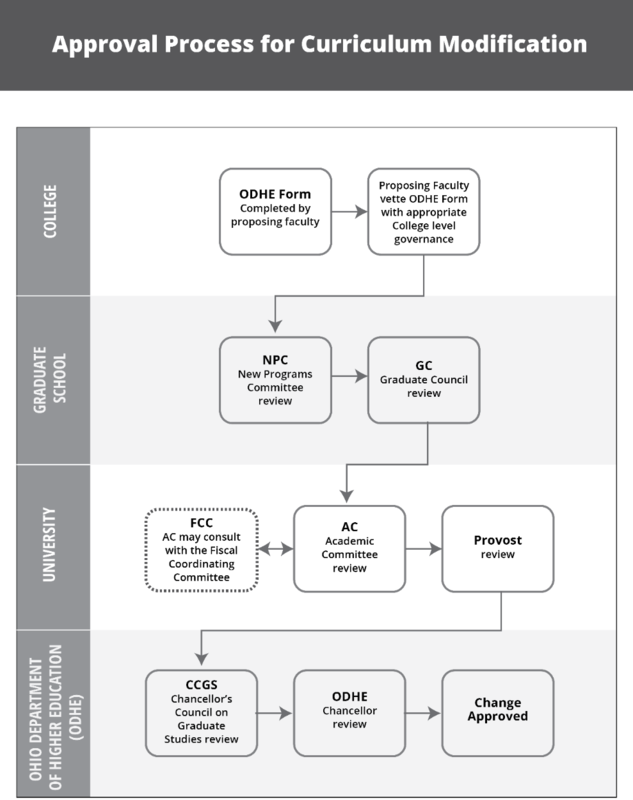 View the flowchart for the Approval Process for Curriculum Modification as a PDF.